Doogee recently released a video on Youtube showing what the next generation of Doogee Mix smartphone might look like. At least there is a clear indication of an exciting design feature. 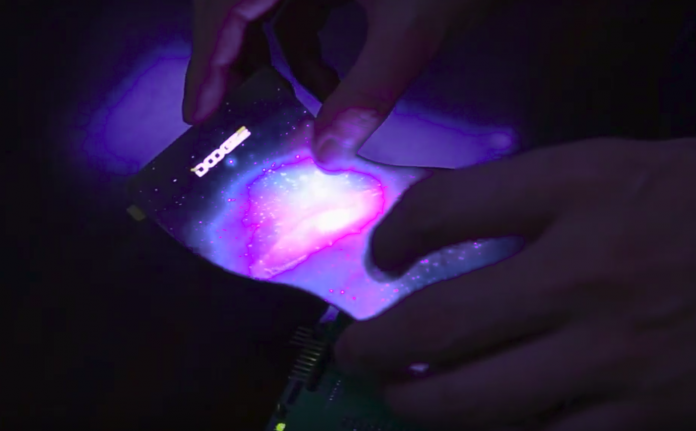 The video shows how could have a flexible display panel made in Flexible AMOLED tech. It is also clearly the Doogee logo is placed on the phone. Therefore, it can be assumed that the Doogee Mix 2 Plus or the Doogee Mix 3 has will have a curved display, which is rounded similar to that it has the Galaxy S8 or the Note 8. In addition, there is talk of a Helio P30 or X30 and 6GB of RAM. Of course, the aspect ratio of the display is 18.5: 9 adapted to the current trend accordingly. The video also talks about a fingerprint scanner under the display. But we would rather doubt that. We are very excited about this Doogee smartphone. Next articleXiaomi MIX 2 vs Oukitel MIX 2 in battery test: which will last longer?